How To FINALLY Start Meditating, Stick With It, And Enjoy It Too! Everyone who meditates raves about what a life changing practice it is. Maybe you’ve tried it in the past and it didn’t work out, for whatever reason. Maybe you just didn’t like it. And yet, you want those amazing benefits! You know it will make you feel better, be more effective at work and in life by reducing stress and anxiety. You know it will make you happier by improving your relationships. You know it will give you peace of mind – which is what we all want! You might even know that all of this is backed up by research done at Harvard, Yale and UCLA. But you’re still not doing it. Why is it so hard to just sit there?! When I first started teaching meditation I struggled with getting clients to stick with meditation. Everyone was busy, they were barely keeping up with their already packed schedules and getting them to add meditation in there was a real challenge. Even though this is desperately what they needed! I tried different ways to get them to do it. Some things worked and some things didn’t. I couldn’t quite put my finger on what was missing. Teaching people to meditate is not hard, but doing it in a way that helps them stick with it is really hard. I didn’t want to just teach them to meditate only for them to abandon it two weeks later. 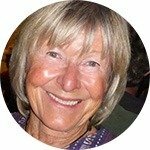 "I’ve known for a long time that meditation is beneficial in many ways but Meredith explained in depth in an easy to understand way how it works and benefits I hadn’t thought of. I never felt uncomfortable or intimidated; with Meredith’s easy manner and humorous way of sharing her experiences and knowledge I felt I could do this!" 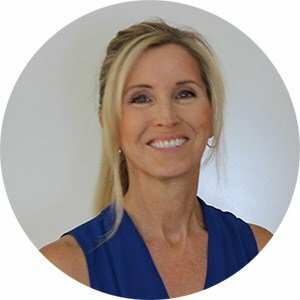 Hi, I’m Meredith Hooke, founder of ZenSmarts and creator of the Peaceful Minds for Busy Lives course. When I first started meditating I didn’t have a clue what I was doing. I was so desperate for something to help relieve me of my constant stress and anxiety I jumped right in, not really understanding what I was jumping into. From the very beginning, meditation helped me to feel calmer and less stressed. To this day, I don’t know why I was able to stick with it. I can only think that my depression and anxiety prior to meditation was so deep that I just couldn’t imagine going back to living like that! After a few years of practicing, I did notice that as good as I felt most of the time, I hadn’t completely shed all my bad thought habits. With enough pressure and challenges my old thoughts could get ahold of me for a while. I didn’t like the reminder. That’s when I discovered what had been missing from my practice. Meditation is the tool, it is not the answer. 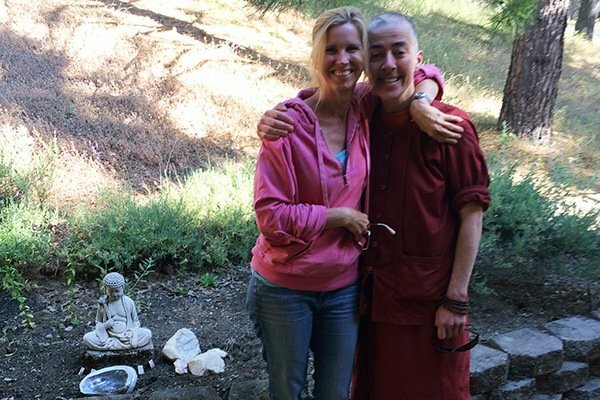 I didn’t realize that meditation was really only half of the practice – one wing. The other wing is Wisdom – the teachings that should be taught side-by-side with meditation. Having an intellectual discussion about the ways in which we mentally torture ourselves and then using the meditation practice to absorb that information. For example, intellectually you know jealousy causes more harm to you than anyone else but do you really know it to the point that it never traps you? Using both wisdom and meditation is how we root out the really emotionally sticky habits. That was the secret sauce that made my practice even more compelling and interesting… and it is a HUGE reason why so many people get bored and fail at sticking with meditation. It’s when I started meditating for longer periods of time, going on retreats, and getting deeper into that sense of peace that stays with me through the ups and downs. I had been for the most part a very nervous, anxious, and insecure person most of my life. So I wasn’t surprised when I’d meet people and they would comment on how calm and peaceful I was. I didn’t turn their compliment away because it was true. I was calm. They just had no idea that I hadn’t always been like this! Eventually I decided to leave my career in the financial industry and start teaching this practice to others. I want to change people’s lives. I know that these practices can help you find more peace and wisdom within yourself and give your life more meaning. If meditation could take me from the worrying, stressed out, insecure person to the one I am today, I knew it could do it for anyone! But how do I get people to stick with it? At times I was a little bit concerned – Was I going to be able to do this or not? And the answer was not with the results I was getting. Then came along my most challenging client. She was stressed, anxious, and (we finally discovered) that she lived mostly with a great deal of fear. But I assured her that everyone could meditate – it was just a matter of finding the right practice for her. Whenever I’m asked to identify the best meditation practice, my answer is: the one you’ll do. The fact is if you don’t like the practice, you’re not going to do it. After a few weeks of working together I started to wonder if maybe she was one of those rare individuals that just wouldn’t be able to do it. I pulled out every practice I knew but she just couldn’t stick with it! She had the desire and motivation to want to do it, but for whatever reason none of the practices was working! Then I remembered a practice I learned in India while on a silent meditation retreat. The lightbulb went on in my head and I had an idea! While the practice that I learned was good, there was a reason I no longer did it – it was missing something. What could I do differently that would make it more effective? Drawing from many traditions that I have practiced over the years, I created something that really got to the heart of what we’re trying to do in meditation. 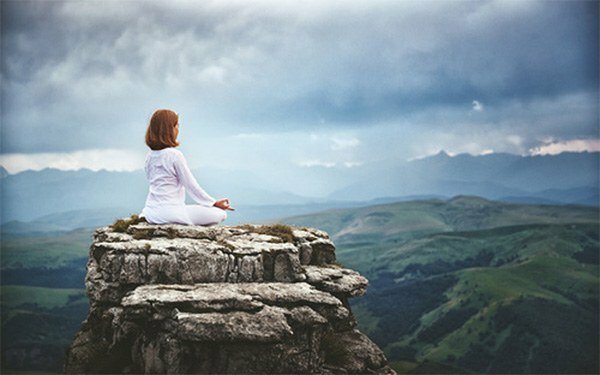 That not only made meditating more interesting, so people were more likely to want to do it, but the benefits were pretty much instantaneous – more incentive for people to want to keep coming back to it! I think I found my answer! The next time we met I introduced this new practice to her and she immediately loved it. A week later, she e-mailed me that she was sticking with it and seeing benefits. A few weeks later, she was still enthusiastic about her meditation practice. This was the most success she’d ever had with meditation and she was really excited. I was excited too as it was giving my own practice a massive boost. By this stage I had been meditating for about 15 years and I had already seen enormous improvements in my life. But these new practices were a game changer! Although my idea originally came from ancient Indian practices, I completely flipped them around and married them with modern-day neuroscience. The result has been a program that has been enormously successful with people that thought they would never be able to stick with meditation! It was also an unexpected surprise for those who already did meditate but were feeling like they’d plateaued. Now you have the opportunity to access this exact meditation technique that I teach all my clients, along with the wisdom teachings surrounding it, online at home anytime that’s convenient for you. I’ve filmed the whole 8 weeks – it’s ready and waiting for you! "Meredith's captivating manner, in depth knowledge and ease with which she allowed her teachings to unfold created the environment for my mind and gradually my heart to open. I was surprised, nah shocked, to discover that I welcomed the meditation that followed each teaching. Throughout my life I have routinely gained new insight and knowledge through a wide range of teaching venues but never have I experienced the personal growth that occurred during these sessions." “Peaceful Minds For Busy Lives” is an 8-week, multimedia online training that teaches you how to lower your anxiety and increase your happiness through meditation and mindfulness training. I’ll use HD videos to walk you through 8 class modules. Feel more at ease and in control, regardless of what is going on around you. Worry a lot less and spend more time feeling content and peaceful. Be more productive with a greater ability to stay focused and filter out distractions. Learn the SINGLE BIGGEST MISTAKE people make when they start meditating and why they usually quit. Hint: Most meditation teachers actually teach you to do this, thinking it’s a good thing! I did for a long time, too! Did you know your brain didn’t evolve to make you happy? It evolved to keep you alive; this conflict creates a lot of stress for us in the 21st century. How much power do your thoughts have? Way more than you realize! If you have no control over what you’re thinking then you have no control over how you’re feeling. Neurons that fire together wire together – if you get stressed, frustrated or impatient easily that’s what you are wiring your brain to do. We’re going to rewire your brain for the exact opposite! Taking lessons from the Monica Story I’ll give you a ridiculously simple key to reducing the constant chatter in your mind by more than 50%! No more beating yourself up – what a relief! How one little tweak in mindset can help make even the most mundane tasks more enjoyable and increase your overall happiness. If you don’t know where your mind goes when it wanders, then you don’t know where you’re going! Hint… the mind usually wanders into some pretty scary neighborhoods. Who is stealing your happiness? It’s not what you think! Are we all just having the same thoughts? What makes the internet so addicting and disappointing at the same time? Why do we do things that ultimately make us feel bad? I reveal the simple secret of one of the 20th century’s greatest sages. You can do the same thing! I’ll share with you why it’s not the situation that is upsetting you but instead this one thing you do all day long. What role do you play in making things worse for yourself? Learn what your “Top 10 Playlist” is and how it can help you find more peace of mind. Learn our most powerful tool yet for solving conflict! Imagine being able to transform your relationship with every difficult person in your life, including yourself! Learn how to use this practice anywhere, completely changing any situation into an opportunity to open your heart and help those around you feel at ease. Eliminate two of our most self-destructive emotions – envy and jealousy – they are not getting you what you want! Why whatever you are telling yourself about someone else’s life is completely dead wrong and how this type of thinking is more harmful to you more than anything else. Learn to share in other people’s good fortune without feeling bad about your own situation. Learn the worst place to visit when you’re feeling down! You may not have been aware that judging is a survival instinct and that’s why you are unconsciously doing it thousands of times a day! But is it really helpful in the 21st century? How this one habit distorts your perception of reality, usually bringing you to the wrong conclusion that can lead to devastating consequences! We are the worst predictors about how we will feel in the future, even though we keep doing it. Note: This pattern leads to a lot of unnecessary anxiety. Learn why first impressions are so important… and so dangerous. You wouldn’t want other people doing this to you, and yet you do it to them all the time. Are You Living Your Life Or Narrating It? Is there someone else living inside of you? Maybe! Who are you talking to all the time? How this habit creates the illusion of a separate self. Hint: this separate self is what’s making you so fearful. "Meredith’s Peaceful Minds for Busy Lives eCourse is one of the best introductions to meditation out there. It is concrete, useful and immediately applicable to everyday life. I love Meredith’s teaching style – she does a great job of making deep truths very simple. Learning more about our brains and how they work is an important aspect of this course, you are not asked to take anything on faith or simply accept something she says because she is saying it. This is the course for anyone who has tried to learn to meditate and quit, or who doesn’t have a schedule that permits hours and hours of sitting. Highly recommended." In total, you’ll receive 15 instructional videos and 8 guided meditations. But wait, there’s more! Get unlimited e-mail support directly to me for 90 days. You WON’T have to talk to a support rep. You WON’T have to wait until the next monthly meditation call to ask a question. Just send me an e-mail to address your issues right as they come up! If necessary, I’ll even pick up the phone and call you! I want this practice to work for you and I will do everything in my power to make that happen! 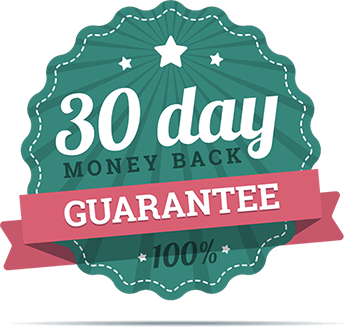 I’m so confident that my Peaceful Minds for Busy Lives course will work for you that I’m offering a 30-day 100% Money Back Guarantee. There is absolutely no risk to you – if for any reason you don’t think the course is right for you, just email me for a full refund. I want to make sure everyone has access to the tools needed for happier, more peaceful, and less stressed lives. I’ve seen massive transformations in my clients time and again with this system and I can’t wait for you to see the same results! Get Peaceful Minds for Busy Lives Today! 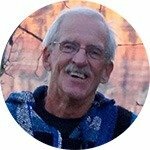 15 INSTRUCTIONAL VIDEOS sharing wisdom and advice on meditating as well as using mindfulness throughout your day for a calmer, more peaceful, and much less stressed life. You'll be amazed how easy it is to start clearing out your bad mental habits! 8 GUIDED MEDITATIONS that teach and walk you through a different kind of meditation each time. The meditations I've created include that critical missing ingredient that will make you stick with your practice! BONUS! UNLIMITED EMAIL SUPPORT for 90 days, directly from me! You won't deal with any support staff! I want to make sure this practice works for you and sticks and will do everything in my power to make that happen! A 30-DAY, 100% MONEY BACK GUARANTEE! I'm so confident you'll love Peaceful Minds for Busy Lives that I'm offering it RISK FREE to you! If for any reason you're not satisfied or not seeing progress, just email me and we'll handle it! GET PEACEFUL MINDS FOR BUSY LIVES NOW! If You Have Questions About The “Peaceful Minds for Busy Lives” eCourse, Then I’ve Got Answers. Absolutely not. No previous experience is necessary. I walk you through from beginning to end, teaching you everything you need to know to get started! Even if you’ve been a long-time meditator you’ll find a lot of useful information. The techniques I teach (beginning in Class 3) are not found anywhere else – you might find this is just what your practice needs to go to the next level! If that’s the case, then this course is really for you! As I said earlier, if you don’t like the practice then you won’t do it. In this course, you’re not going to learn just one way to meditate – you’re going to learn several different practices. I’m not just throwing them out there to see what sticks. Each practice has been carefully chosen to achieve different objectives. You wouldn’t go to your doctor and expect that they give the same prescription to everyone who comes in. Likewise, we have a variety of prescriptions for different mind ailments. I’ve found that the variety is just what people need to keep their mind interested and engaged in the practice of ridding your mind of bad thought habits – which is what every practice does – but in different ways. No, there is nothing religious at all about my teachings. My intention is to help you find more peace in your life – not through a God or a belief system – but instead through science, reasoning, and experience. This eCourse will not conflict with your beliefs whatsoever. If you cannot sit for medical reasons, then you can lie down for the actual meditation. It might be a bit more challenging – because your inclination will be to fall asleep, but you absolutely can still do it. Other Common Questions About The “Peaceful Minds for Busy Lives” eCourse. Not to worry! I’ve recorded all the training videos. You can watch them at your leisure. No need to show up anywhere. The monthly meditation call that I recommend you participate in is live. But you also get priority email access to me while you are taking the course, so if you do have a question and can’t make the monthly call – just shoot me an email and I will address any concerns you are having. Relax and take your time to go through the course at your own pace. Don’t worry – mountain climbing is not required! Relax in your own home! Each class is less than 60 minutes. That includes the video lecture and guided meditation. I have found courses that require more than 60 minutes a week will not get completed and therefore become a waste of time – and I want this to stick for you! There is only one class where I actually give you some homework to do. Other than that there is nothing you have to do outside of the class – I don’t even want you to meditate on your own to start. You’ll find out why I think this is so important in the first class. I’ve tried to make the course fun and practical while taking into account that you have a busy life and limited time. You are tired of being stressed out and exhausted all the time. You want to feel more calm and peaceful. You want to have better relationships with friends, family and coworkers. You want to stop worrying so much and enjoy your life. Do you still have questions? E-mail me directly by clicking here and I’ll be happy to answer as soon as I can! DISCLAIMER: We stand 100% behind this product, but want to be sure this is not being used as a substitute for therapy or medication. If you are currently in therapy, please consult your Therapist before doing this course.